Our team always strives to combine trending tech with warm feel of classic games. Be it Concept Art, Digital Graphics or CG Animations. We deliver the highest quality artwork to help boost your Game or App sales in a way that marketing alone will never be able to. We also develop our own Games with Unity for Android, iOS and have complete knowledge of that game engine. Private Enterprise founded by Pavel Konstantinov. Experienced concept 2D artists and 3D modelers. Crossed 30 million downloads mark with our own mobile games. 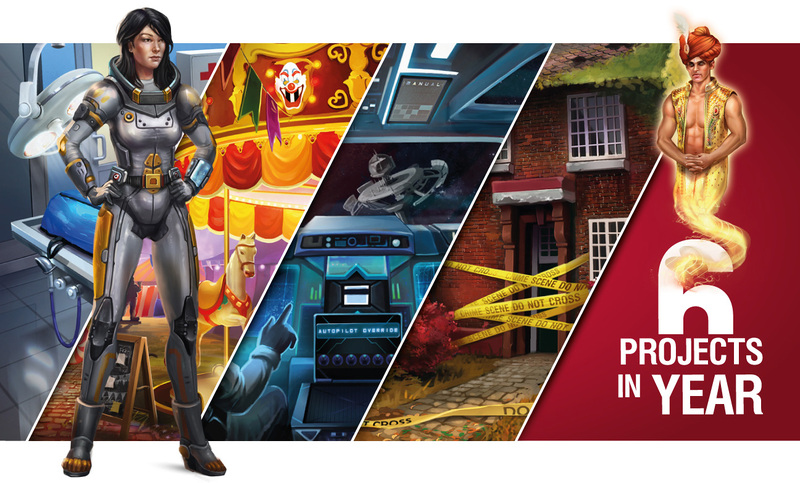 Our team develops Game Artwork for clients of any size and from all over the world. We create Concept Art for small to medium sized Indie Developers. And support top Game Companies with frequent content updates. RetroStyle Games loves to establish solid working relationships. I’ve been working in the games industry for more than 20 years, and I have yet to run across an art team that produces better results! 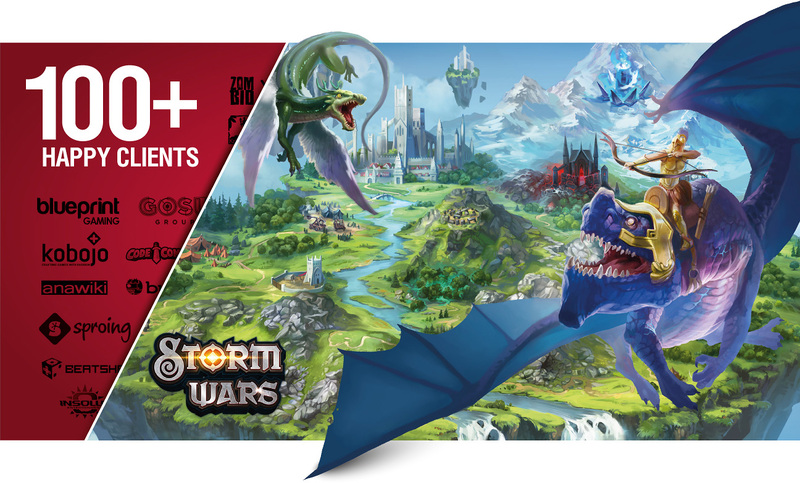 Our latest title ‘Storm Wars’ is a collectible card game, and Retrostyle has produced hundreds of beautiful cards for us as well as campaign map artwork in a time- and cost- efficient manner. Pavel’s team quickly grasped our needs and was able to provide excellent results with minimal iteration, they have also been very quick to make adjustments when necessary, and have been very easy to work with overall. Highly recommended! Kobojo worked with Retrostyle Games for asset creation outsourcing on “PyramidValley” and “Atlantis Fantasy” (Facebook Games). RSG is a very professional studio: from the test to the running phase the communication was very good. They manage to adapt their production to our release rhythm, to each product art direction, and to the targeted audience tastes. Assets production was respecting our internal guidelines and processes, and was delivered with the level of quality required. RetroStyle Games offers Full-cycle 2D and 3D Art Production services. We can lead your game from initial drafts and studies to full release. From self-publishing we know how important Game Store listing is. We can help you to create eye-candy App Icon and Promo screens. Game Art Outsourcing clients constantly choose our studio as external vendor. It’s a pleasure to get 3D Character rigged, skinned and animated. Especially being built from highly-detailed Zbrush sculpt. Hard-Surface modeling and texturing is also our passion. We love 3D Modeling and CG Animation. Be it realistic game assets or stylized. RetroStyle Games helped Haiku Games to create 6 fully-packed with 2D art Mobile games in less than a year. For over 4 years our studio supports awesomely engaging learn-to-code CodeCombat Browser game. We created tons of Isometric art content for Kobojo’s Facebook City Builders – released biweekly. 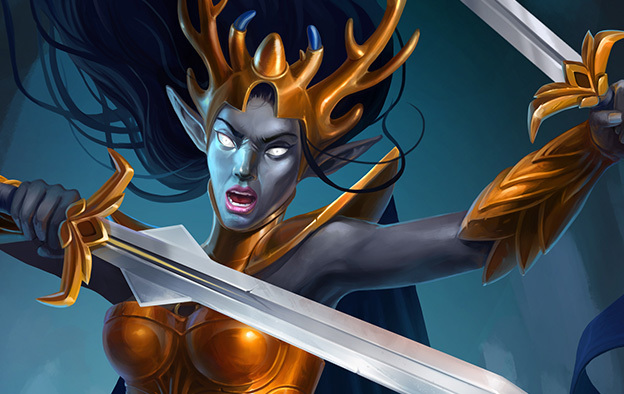 In short period of time more than 300 collectible cards illustrations were drawn for Stormwars. Effectively scale your art team. Deliver more content and features with our help. Save costs and time! 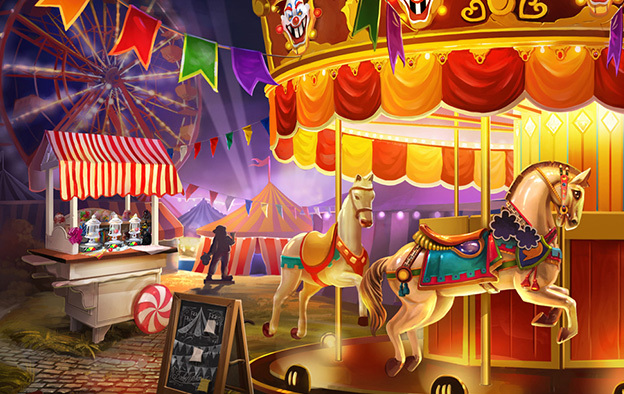 RetroStyle Games offers full range of services including 2D concept art, 3D modeling and animation, complex asset creation, Unity integration and level building for mobile, casual, social and console games. 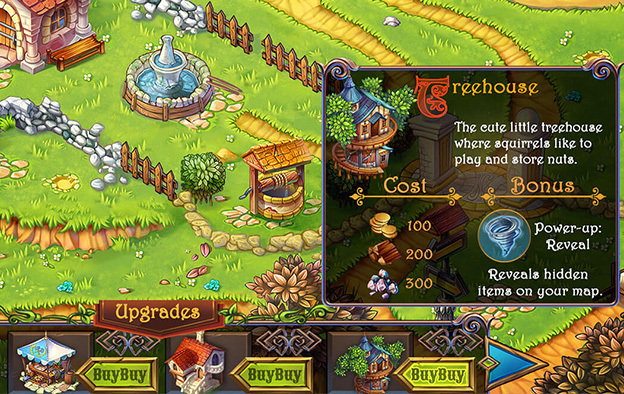 RetroStyle Games loves to design game interfaces of any complexity. We know how important GUI is for user experience from our own game projects. Thus, we put special focus on game UX/UI. We construct all the buttons, windows and menus from both aesthetic and functional points of view. Our team will help you to come up with eye-catching ideas for your new game. Just describe your vision of the game, and we will create Concept art pack of any complexity, including Backgrounds and llustrations. We are eager to help you from the early stages of development of your ideas, and together we will put them into action. RetroStyle Games provides 3D modeling services of any complexity in both organic and hard-surface directions. 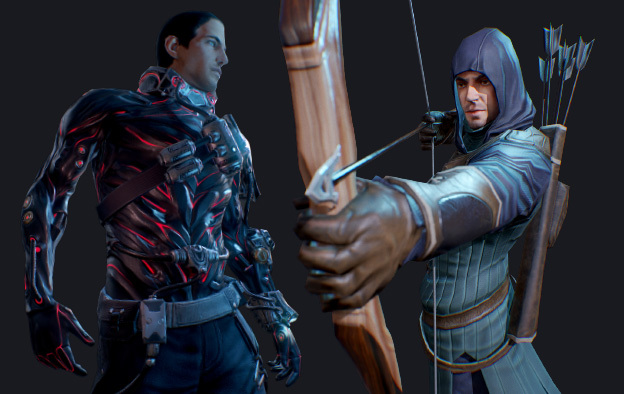 Our team builds highly detailed models as well as low-poly models for mobile game art. 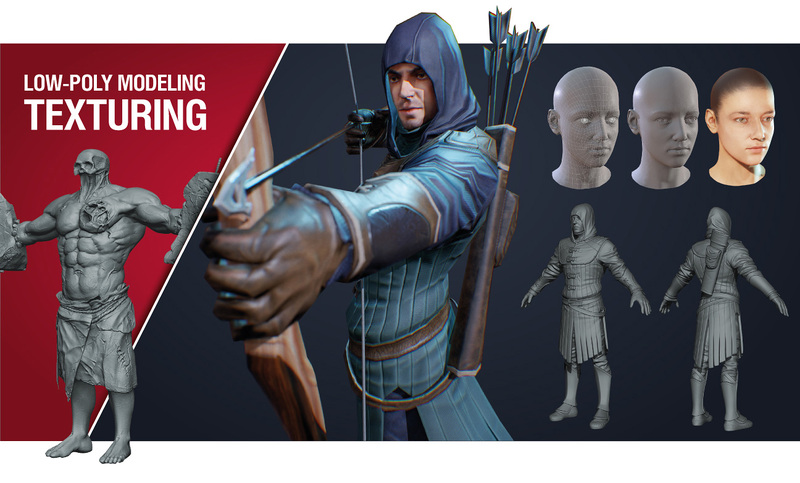 Our experience allows offering a Full-cycle 3D modeling which includes the process of building 3D Characters, Environments , Vehicles and more from concept art to Zbrush sculpt. And then through all iterations till final textured or rendered result. 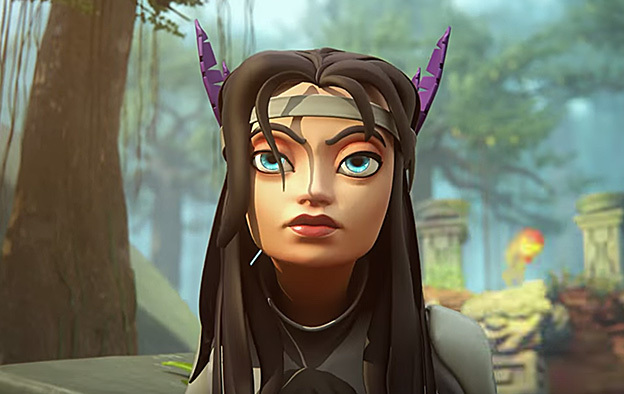 RetroStyle Games animation team will literally breathe life into your characters. We provide 2D animation and 3D animation services of any kind. We rig, skin and animated 3d models in 3dsmax via CAT, Biped or set of Custom tools (everything tested in Unity). We do keyframe 2D animation, animate in Flash or rig and animate character in Spine. Additionally we can design game FX in After Effects, create game trailers or full CG cinematic. 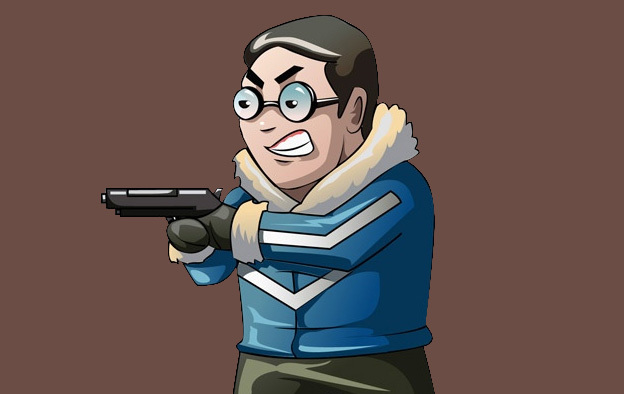 RetroStyle Games team can effectively create sprites for your game. 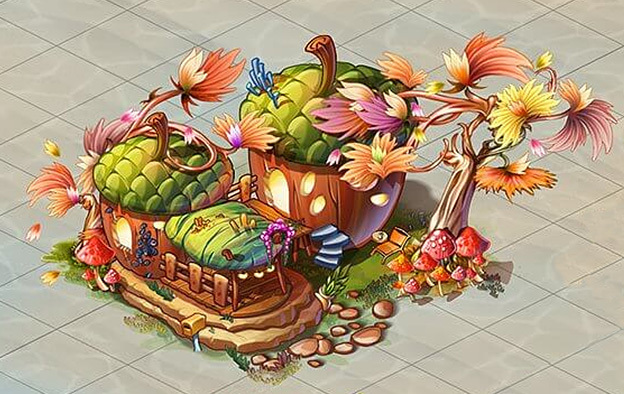 Our experience allows creating pre-rendered 3D or digitally drawn 2D Isometric sprites, Top down sprites based on your Concept art. For 3D sprites we are able to build effective rendering and exporting workflow. With over-paint and post-effect stages included per client’s request. A true game is real in every last detail. That’s exactly why it’s necessary to pay attention to such game assets as Match-3 and Slot Icons, 2D and 3D Game tiles, Objects, Cursors and more. 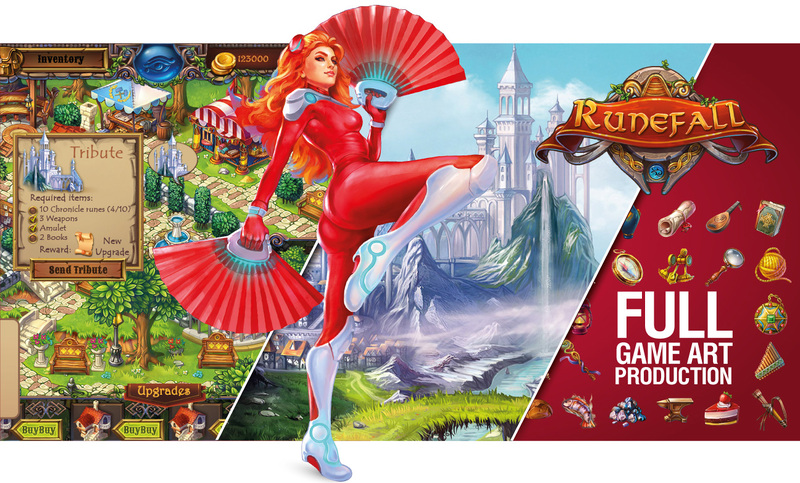 RetroStyle Games team created massive amount of game icons, playable cards and hero illustrations. Use our experience for your next successful game. Mobile, PC and console game success heavily depends on how attractive your characters art design is. Our team pays a lot of attention to that side of game art creation. Usually we gather a though-out reference list and provide client with 3-4 different style directions to choose from. After approval we develop character further, pose him or create 3D models and animations. RetroStyle Games team creates Game Elements, Environments and Characters not only in raster but also in vector format. This allows exporting game graphics in any resolution or direct use in HTML5/JAVA game engines. Also we do 2D animations in Flash, After Effects or Spine.